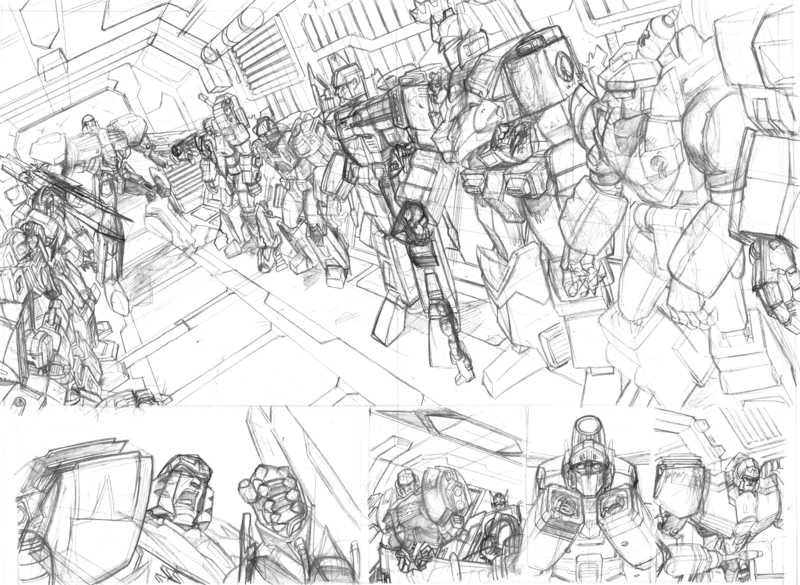 The Pencils for the 'Decepticon Hall of Lame' double-page spread from SPOTLIGHT MEGATRON, out next Wednesday. And the issue commemorates my first professional Mick crossover, as Len O' Grady of this parish is the colourist on this bad boy! Come see what happens when Friday and Saturday collide! 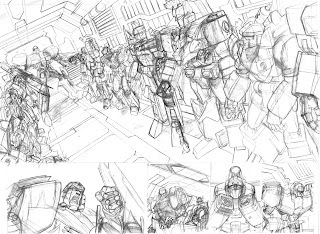 Folk in the Dublin area are going to Micked up to the eyeballs all day that day too: I'm doing TWO signings between the hours of 1-6pm in the City Centre (please click http://nickroche.blogspot.ie/2013/01/megatron-only-needs-one-shot.html for details) while Wondrous Will Sliney is celebrating the start of his Marvel career at Big Bang Comics in Dundrum at 6pm. Add to that new releases from Dec and Len on other titles on the same day, and it's quite the week. Thanks for all the support getting us this far, guys. 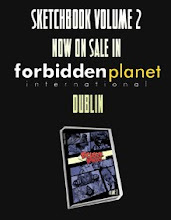 So yeah, if you can't come along to meet us, please give this book a chance. Not a Transformers fan? This is a self-contained oneshot that aims to be a good comic first, and a Transformers book second. The current batch of writers at IDW, myself included, treat these gigs with a creator-owned zeal; we care because we want you to. 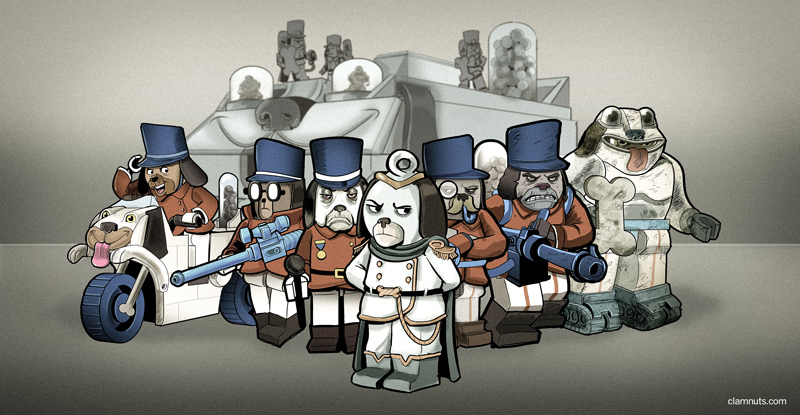 So wanna see a fun, action-dominated issue dripping with character, wit and war-mongering where the Leader Of The Bad Guys wakes up to find his Treacherous Lieutenant has run his army into the ground? (It's THAT easy to set it up!) Then please give SPOTLIGHT MEGATRON a spin, available in pulped wood format, or digitally from IDW, Comixology and other places from the future.